You’re invited to discover the full selection awaiting you at the Uinta Naturals website, linked above. 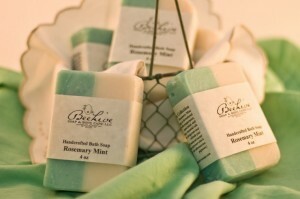 As an exclusive offer for StateGiftsUSA.com readers, be sure to use the code SGU15 at checkout for a 15% order discount. 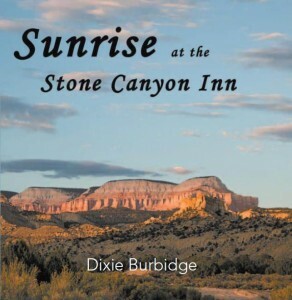 The perfect personal gift for anyone on your list who appreciates the spectacular beauty of Utah! Prime Toffee: We’re very pleased to introduce you to this Park City based small business founded and owned by a retired dentist by the name of Ross Cheesman who is passionate about … toffee! 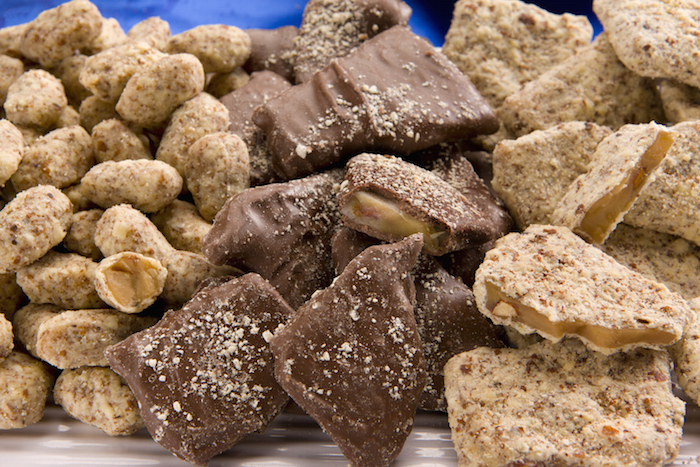 Prime Toffee’s specialty treats are available in Chocolate Covered, Chunk Style, and Bite Sized Toffee. Their Combination Pack (pictured) is an excellent way to sample all three. And as a nod to their founder’s former trade, a small flossing stick is included in each package! Created For You & Anyone On Your Gift List! Check out the Prime Toffee website where you’ll see the entire selection – you can place your order online and have it sent directly to your doorstep. And be assured that when refrigerated, your toffee will stay fresh for up to six months, although we doubt it’ll last that long! Madyson’s Marshmallows: This small Heber City business is doing big business with marshmallows. 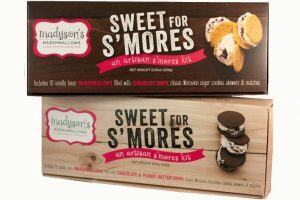 Created onsite in their busy manufacturing facility, the company makes gourmet marshmallows, marshmallow beverage toppings, marshmallow gifts and bouquets, and even marshmallow donuts! We love small independent businesses like this. They’re family owned and operated, and they took a simple idea and tapped into the public’s cravings for flavored, fresh marshmallows. They ship nationally and even have fans overseas! Creative goodies from The Beehive State! In 1989, “Honeyland” was born, taking the company to a new level. A retail store was added along with a larger warehouse for producing, storing, and packaging the honey. 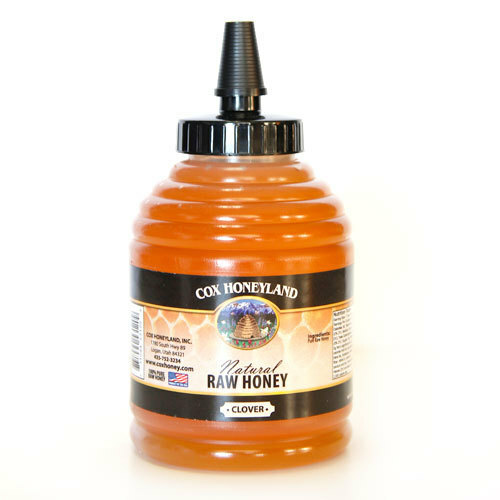 Today, you can buy raw natural honey (the best kind!) at their Logan location as well as online, where they’ll ship to all 50 states! 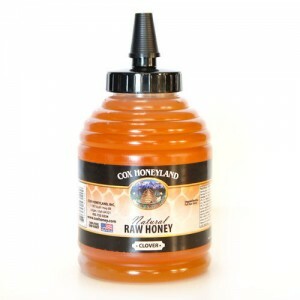 Cox Honey also produces related products like soap, candles, body care items, and a vareity of gift sets. You can shop directly at their website – just click on the “Store” menu icon and you’re good to go! Over The Top’s Gourmet Cookies: From South Jordan, this cookie company recently garnered some national press for having the best cookies in Utah. Judging by their product line offerings, we have no doubt as to the claim! They’re Over The Top Gourmet Cookies and they bake them in this community south of Salt Lake City adjacent to Interstate 15. 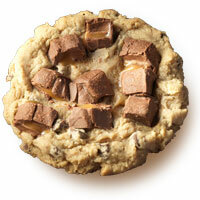 Best known for delicious cookies with bits of famous candy bars melted atop them, they’re baked fresh every day. Fans across the U.S. are falling in love with such specialties as Butterfinger Blitz, Milky Way Out, M&M Madness, Twix Mix Up, Shout For Almond Joy, and more. They offer combination gift baskets at their online store so you can get (or give) a taste of everything – the perfect thank you or corporate gift, or just because! 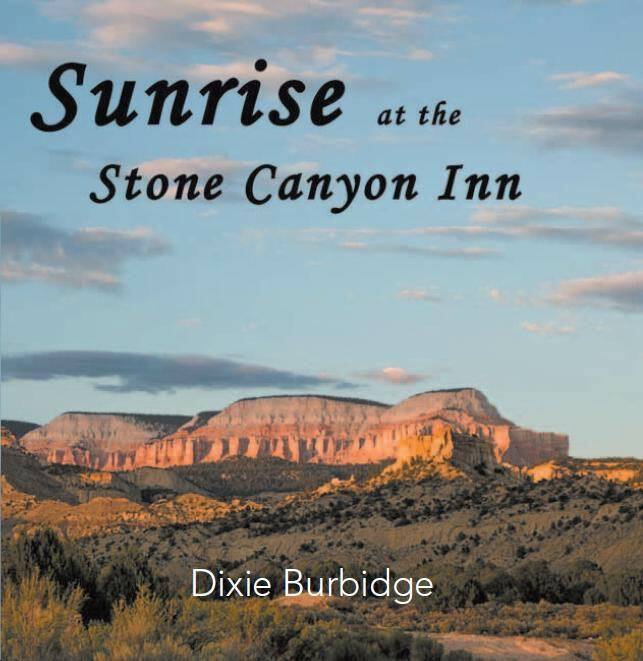 Compiled by proprieter Dixie Burbridge, “Sunrise at the Stone Canyon Inn” is a collection of all the Grill’s breakfast recipes and much more. Included is the recipe for their famous Raspberry Hootenanny, a special edible dessert cup featuring fresh Utah raspberries. A unique gift from Utah! 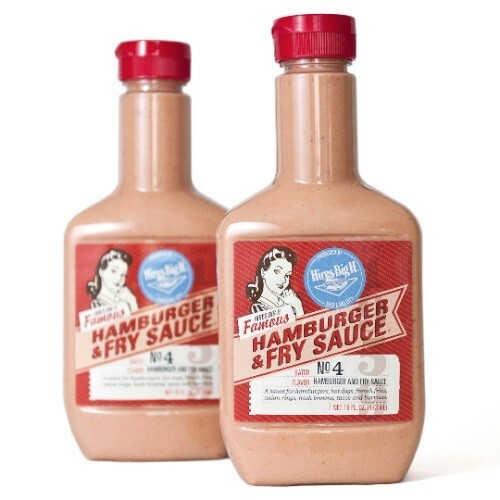 However, fry sauce is not as easy to find in bottled form, since most places just mix up their own. 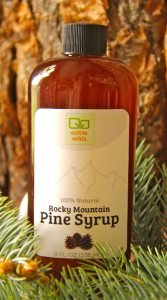 We found a Utah company who does bottle it and as an added bonus, sells it online. The business is based in Salt Lake City and is called Some Dude’s Fry Sauce and they’re a familiar name in these parts … they’ve been around since 1991. You can find their Fry Sauce in groceries in the area and they also make a BBQ sauce. The Fry Sauce features a few additional ingredients beyond the obligatory mayonnaise and ketchup like peppers, tomatoes, and a blend of spices. In addition to french fries, try it on chicken sandwiches or deli sandwiches – it’s really good! Click through to the Some Dude’s website to order – a great stocking stuffer for anyone who has spent some time in Utah! 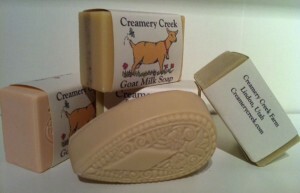 Creamery Creek produces over 50 different varieties of soap, from unscented to specialty scents like Peppermint, Summer Strawberry, Creme Brulee, Pumpkin Pie, and many more. Their farm is located about 40 miles south of Salt Lake City and you can order directly at their website! Salt Lake Magazine: Whenever our travels take us to one of America’s cities, we always try to pick up a copy of their local magazine. One which we found particularly helpful as a visitor’s guide of sorts is Salt Lake Magazine. 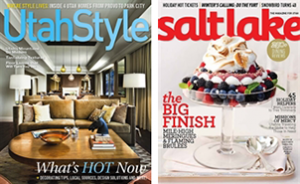 This bi monthly glossy magazine covers just about everything you need to know about Salt Lake City and beyond. Their dining guide is entertaining and thorough the feature stories really provide a good overview of the city’s important issues and prominent citizens. Great photography and useful guide sections help round out the magazine, which also offers an up to date calendar of events and other helpful features. You can buy a single issue at their website, or purchase a gift subscription for the Utah resident on your list. A thoughtful and economical Beehive State Gift! The artisan cheese branch of their business is new, but carries with it the stellar reputation of decades of family farming dedication. 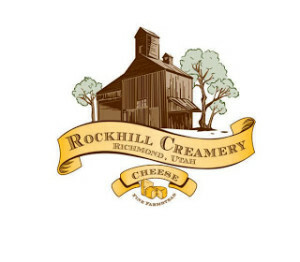 The brand new creamery hosts cheese tasting events which allow visitors to meet the cheese makers and go behind the scenes to discover some of the finest fresh and aged cheese in the state. 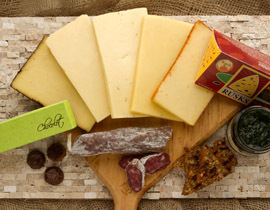 At their online store, you can find see and buy varieties like Lemon Sage Cheddar, Smoked Jalapeno Bacon Cheddar, and a unique French recipe cheese, Juustoleipa. This light colored beauty is best served warm nad is known as “bread cheese”. Gift baskets and locally made jams are also available – a wonderful gift idea for the gourmet on your list, or anyone who appreciates really good cheese! You can also order many varieties any time of year directly at their site, like “Back in Black”, a mixture of red and black raspberries and blueberries. Or “Berrylicious”, absolutely bursting with the fresh sweetness of five different berries, including strawberry, raspberry, and huckleberry. Click through and enjoy the natural bounty of The Beehive State! 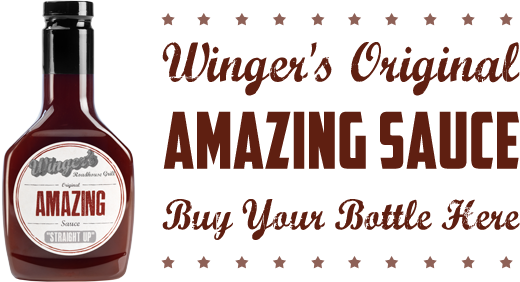 Snap Daddy’s BBQ Sauce creates three varieties of their sauce – Original, Slappin’ Hot, and Sweet Kisses. We were lucky enough to enjoy the Original, which offers a bold flavor profile with an ever so slight touch of sweetness. It pairs well with brisket, pork, or anything on the grill – it’s even great as a dipping sauce for french fries! The Slappin’ Hot is described as a sauce where the heat builds the more you taste it but not too overwhelming to your taste buds. 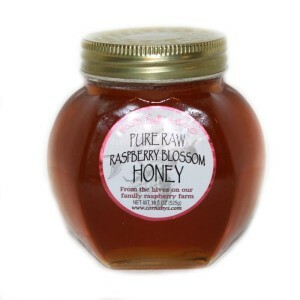 Sweet Kisses is naturally flavored with fruit (not high fructose corn syrup) and leaves a nice glaze on any grilled meat. Try it with salmon! You can order any of the Snap Daddy’s sauces directly at their website. A tasty Made in Utah gift! The company also makes a brittle style not often seen – Brazil Nut Brittle. 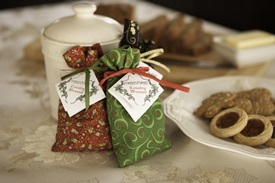 The buttery recipe dates back almost 100 years and it joins a line of other brittles featuring peanuts and mixed nuts. For a real Utah treat, try their house recipe Idleberry Jam – it’s made with a mix of fresh blueberries, blackberries, and boysenberries. A taste like no other! 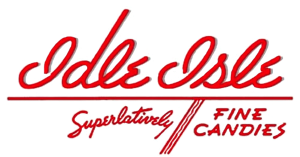 You can visit Idle Isle Fine Candies while in Brigham City or order their products at their online store – they’ll ship anywhere in the country! Old fashioned sundaes are a Leatherby’s specialty, specifically their fantastic caramel and chocolate fudge ice cream toppings. Check out their online menu to see just a few of the many ice cream creations offered – you won’t want to miss them when you visit The Beehive State! 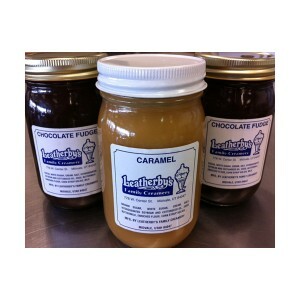 The ice cream toppings are as good as it gets, and available online at the Leatherby’s website. So if you’re looking for a memorable taste of Utah for yourself or as a gift, click through and order a 3-Pack via their “Shop Online” link! You can order any of these sauces along with their other products directly at the Il Divino online store. Click through and give them a try – made in Park City! Jalapeno jelly is excellent served as an appetizer – just spread it on crackers or slices of crusty artisan bread for an ideal party treat. If you or your guests enjoy a little more kick, try the Habanero! Either variety also works as a marinade – try it spread thinly over a pork roast before placing in the oven. It’ll create a one of kind glaze! You can also spread either on pork chops before grilling as well as chicken breast. Chances are, anything you think it’d taste good on … it will! 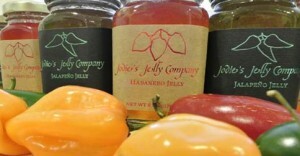 You can order these Utah made jellies directly at the Jodie’s Jelly Company website. Combo cases are also available if you want to try both! Morrison Meat Pie Company: Morrison’s Meat Pies have a long history in the Salt Lake City area, dating back to 1883 in fact. The company’s signature product is a meat pie – ground and seasoned beef stuffed into a crispy pastry crust that has the crunchy texture of oyster crackers but is much more sturdy. New ownership came aboard in 2004 as the plant was in danger of closing due to intense competition from fast food establishments. 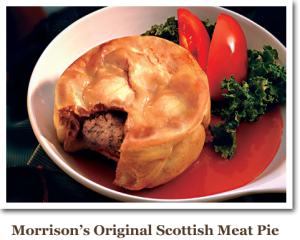 In the past decade, Morrison Meat Pies have regained their prominence and new ownership has introduced chicken and lamb varieties in addition to the original. At one time only available in The Beehive State, distribution has expanded to several surrounding states and the rest of the country via their online store direct from the company’s new facility in West Jordan, UT. 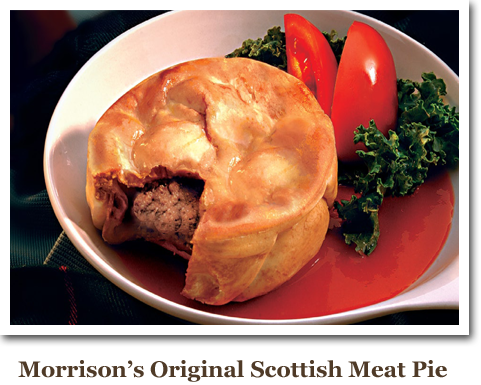 Any long time Salt Lake City resident or visitor will know about Morrison Meat Pies! Check out their website to order them for yourself or as a gift. Gift cards are available too! For a special treat, check their website’s “Specialty & Seasonal” page. There you’ll find an easy to prepare packet for Wassail, a traditional holiday drink made with mulled cider. The spices are already mixed within the packet – you provide the beverage of your choice like apple cider or cranberry-apple juice. Mix in a little dark rum for a festive holiday party! One of their menu specialties is called “Hires Big H”. It’s a 1/4 pound burger garnished with lettuce, tomato, cheese, and fry sauce. Fry sauce? Well, in its most basic form fry sauce is a mixture of mayonnaise and ketchup and used on burgers, fries, and anything else where you’d normally use ketchup or mayonnaise. 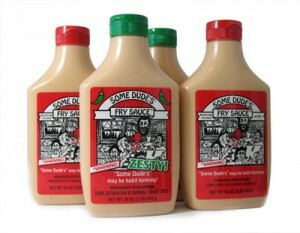 The fry sauce here is unique because special spices are added to the mixture … it’s the restaurant’s go to secret sauce! Hires Big H recently added an online store for those of us who can’t get to Salt Lake City all that often. 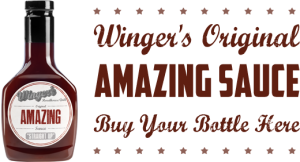 You can buy, or give as a gift, root beer extract to make their famous root beer at home, mixes for some of their famous menu items, and Hires Fry Sauce by the bottle. If you know someone from Utah, this is the perfect gift! 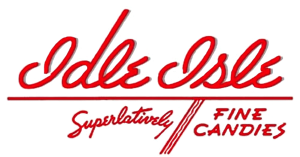 Stop by their website to learn more about their history and to order some fry sauce! 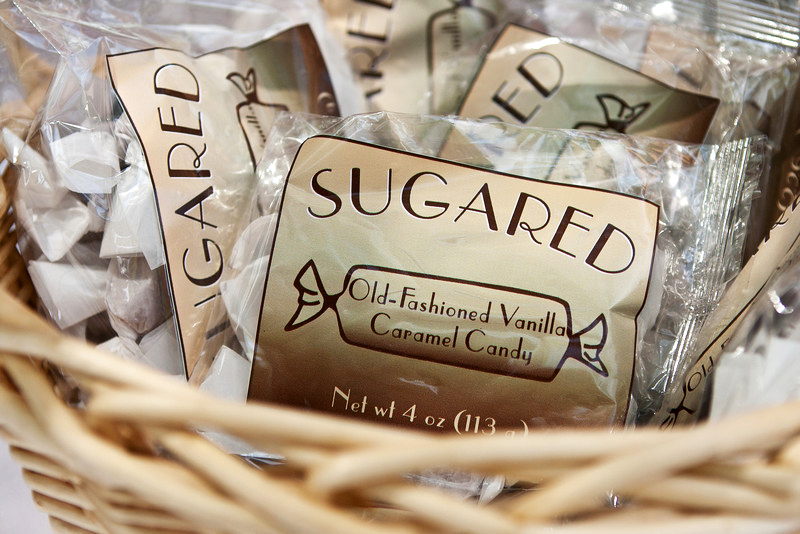 Vanilla caramels, caramel sauce, apple cider caramels, and a sugar free version are among the many products made by Sugared. 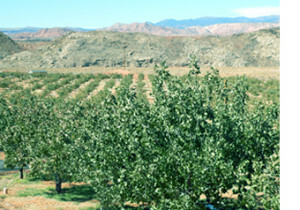 One particularly interesting variety is called Fleur-de-sel and is made with local sea salt from the Great Salt Lake. A real taste of Utah! Seasonal candies and specialties are also available, as well as beautiful gift baskets ready to ship to the special sweet tooth on your list. Check the Sugared Caramel Candy website to see all their products! One day, Harris McVea left town for whereabouts unknown and was never heard from again. His brother Tom took up the business and eventually sold it to a Louisiana company with the stipulation that the McVea family could retain the recipe for personal use. Descendants of the family long ago left Louisiana for Utah and are now producing the original recipe Red Snapper Sauce in Orem. A spicy red sauce which complements any seafood or rice dish, it is now made in three varieties – Savoureaux (medium), Wildwood Arbol (medium), and Cajun Snapper (hot). Sounds Louisiana, but Utah Proud! 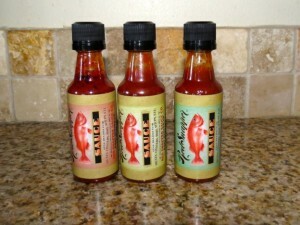 You can buy any of the Red Snapper Sauces online at their website. If you’d like to try them all or for an economical gift, opt for one of the Red Snapper Sample Packs, pictured. 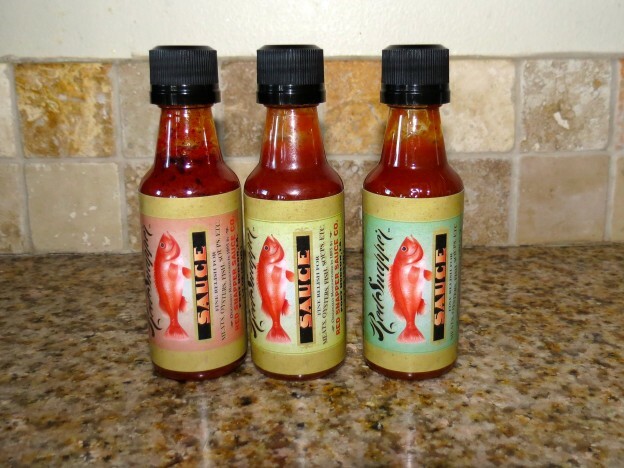 With a long and winding history behind it, we’re pleased to see Red Snapper Sauce back on the market and thriving! We were lucky enough to try one of their three products, a multi purpose Pineapple Habanero Sauce. You can use it as a barbecue sauce on chicken, fish, and meat of course but there’s a suggestion on their website for using it as a sweet and sour sauce which we loved! Just mix in a half amount of vinegar with the sauce, whisk together, and use it in stir fry dishes or as a dipping sauce for appetizers. It’s great! The two other products from Little Oats are an Original Barbecue Sauce and a Steak Rub. We’re told the steak rub is perfect around the rim of your Bloody Mary glass! You can order all three of the Little Oats products directly from their website – they offer a convenient gift pack containing a bottle of each! You can use this sauce in a variety of ways, like as a salad dressing, dipping sauce, stir fry or saute sauce, or simply as a pasta sauce. Use it over salads as we did, or with pasta or any Italian style dish. The garlic jumps out at you but by the same token it isn’t overpowering – a very well made sauce and very versatile! 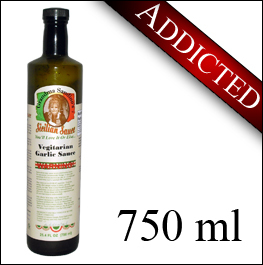 Anyone who enjoys Italian style cooking will appreciate receiving a bottle or two as a gift – check out the Grandma Sandino’s site to order. Gift sets are available as well! In business since 2011, Yee-Haw was founded to fill the gap in the lack of natural pickles available on the market. 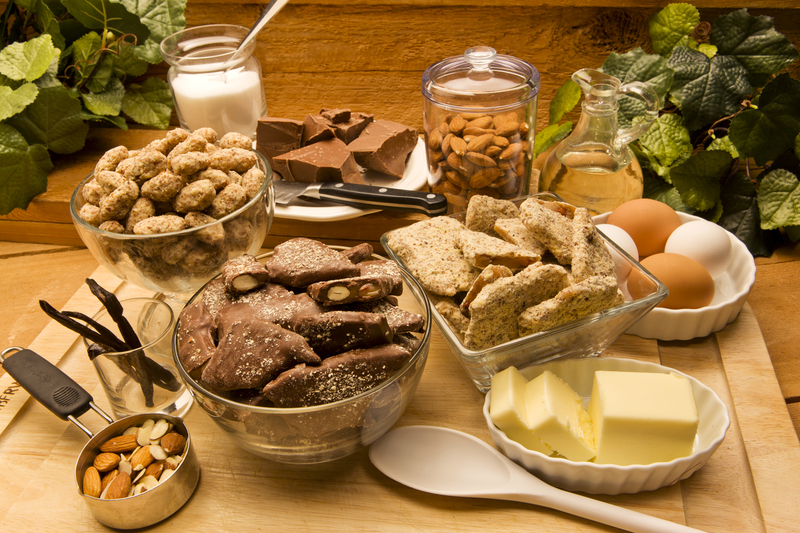 Most are packed with refined sugars, preservatives, and additives. Yee-Haw pickles are all natural and the word is spreading – they’re now available in many stores across The Beehive State and are expanding to other states as well! 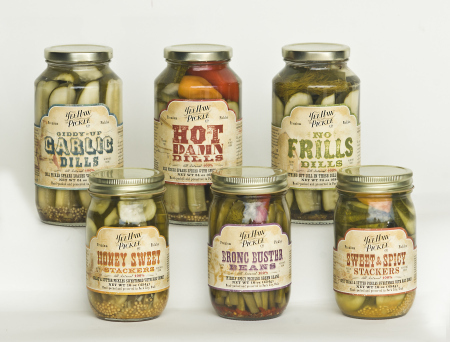 Their product line features Hot Damn Dills (with hot peppers and garlic), Giddy Up Garlic Dills (with dill, garlic, and mustard seed), Sweet & Spicy Stackers (with habanero and wildflower honey), and more. These ain’t your normal grocery store pickles! 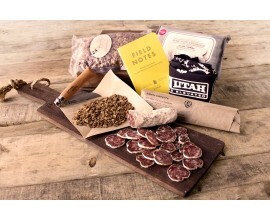 Very cool products from Utah, and a great gift for the foodie in your life. You can order a six jar combo pack which includes all the Yee-Haw varieties, or via a convenient Two Pack (you pick the flavors). Click through to their site and see everything they’re doing. Yee Haw! 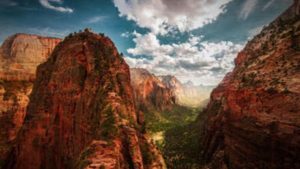 Edible Wilds: This very cool small Utah company is focused on offering wild edible plant seeds, wild food products, mushrooms, emergency preparedness foods, and more. Even if you’re not in the market to buy, it’s well worth visiting the Edible Wilds website to see and learn about these products and how to use them. If you have a foodie on your gift list, especially a foodie who enjoys natural foods, any of these products make a unique and ideal gift from The Beehive State! This prolific local company makes several other products as well, like syrup, sauces, and fruit puree. Gift packages are available – learn more at the Cornaby’s website. Makes a really nice gift from The Beehive State! 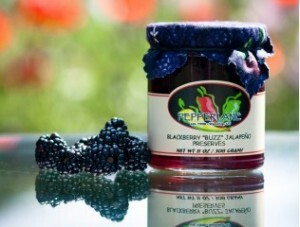 Some of the flavors include blackberry, cherry, pomegranate, peach, blood orange, Meyer lemon, and more … all mixed with zesty jalapenos for an eye opening addition to any appetizer. 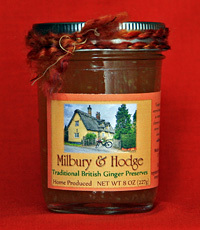 You can order single jars or gift crates of either two or three jars. Visit them at Pepperlane.com and get your jalapeno on! 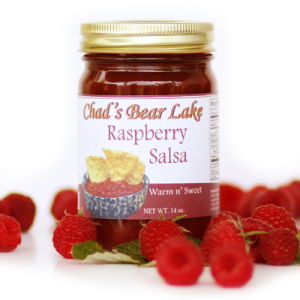 Chad’s Raspberry Kitchen: Located in Laketown, UT in the Bear Lake area, this company is known for their distinctive raspberry products. Jam, syrup, jelly, and salsa are just a few of the products offered. 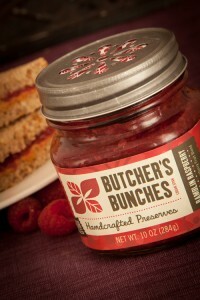 A great way to sample these products is through one of Chad’s Raspberry Kitchen’s gift boxes. 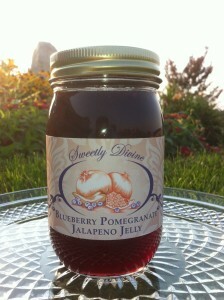 You can order them containing either two or three products … honey, jam, and jelly or salsa and jalapeno raspberry jam. 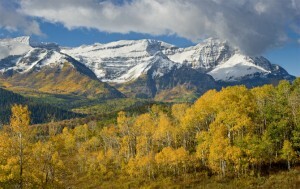 Either make a really nice Utah themed gift and are very economically priced! 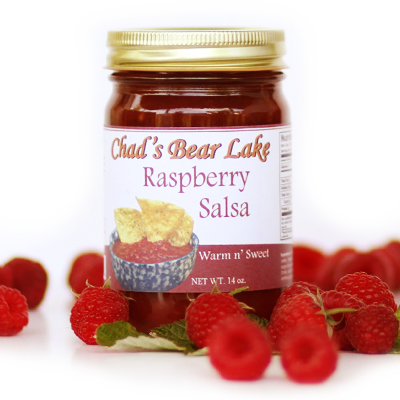 Learn more about Chad’s Raspberry Kitchen at their website and enjoy the special flavor of Utah’s raspberries! Driven by the southwest’s growing need and concern for sustainability and water conservation, company ownership noted that agriculture absorbs over 90% of the world’s fresh water consumption. 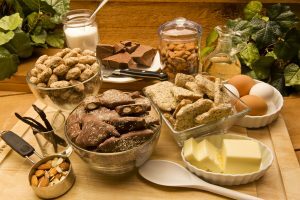 They began searching for a more sustainable means of acquiring protein for the human diet, and the answer is insect protein. Now before you say “yuck” and turn up your nose, consider this. As recently as 30 years ago, raw fish (sushi) was thought by most Americans to be bait to catch other fish or feed to sea lions at the zoo … Currently, over 80% of the world consider insects a viable part of their diet since they’re loaded with protein (much more than spinach or beef). You can buy these bars in a sampler pack (6 bars) or buy the individual flavors. 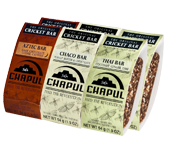 Whether you decide to indulge or not, be sure to visit the Chapul website to learn about the company, the products, and their ongoing sustainability efforts. A really unique and interesting Utah company! For a special gift from the state, take a look at their Beehive Collection. These seven soaps were formulated to celebrate scents and ingredients that evoke Utah … juniper, lavender, lemon sage, and sandalwood are just a few ingredients you’ll enjoy when using these soaps. You can order directly from their website, and don’t forget the guys in your life … they have beer soap and shaving soap too! The seasoning is a savory mix of ingredients which, as the name implies, can be used on just about anything. Steaks, chicken, seafood, stews, pork chops, and more will benefit from enhanced flavor. Sprinkle it over eggs in the morning too! You can buy a bottle, or a few bottles, at the DeVerle’s website … enjoy! We were attracted to this company due to their unique flavors … some of which include blood orange rosemary, chokecherry, and pear lavender. There’s also a tangelo marmalade, the first we’ve ever seen made with this wonderful fruit. 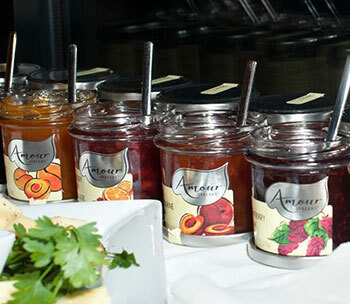 Part of the reason the company is called Amour (the French word meaning “love”) is because each batch of jam is hand made in traditional French copper jam pots. Flavors rotate seasonally as only fresh fruit is used to create these jams – never frozen or processed fruit. Single jars and gift packs are available at the Amour Spreads website … enjoy the wonderful fresh taste of Utah! 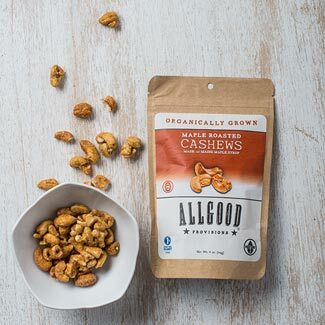 Since being founded in 2011, ALLGOOD Provisions has been packaging organic cranberries, cherries, banana chips, almonds, and a high antioxidant trail mix. All good for you! One of their more interesting snack mixes are the maple roasted cashews (pictured), made with organic maple syrup, organic vanilla, and a bit of sea salt. Crunchy, semi sweet, and delicious! 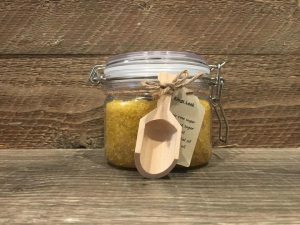 Produced from the original family recipe, the dressing is not only perfect for any type of salad, but it’s also a great marinade and dipping sauce. Lightly marinade a pork roast in Rogliano’s or brush it on fish or pork chops before grilling … it adds a moist, rich flavor anyone is sure to appreciate! You can also use it in veggie platters and appetizer trays. It’s a perfect complement to carrots, broccoli, tomatoes, and celery sticks. Equally as good for crusty bread and even on sandwiches! 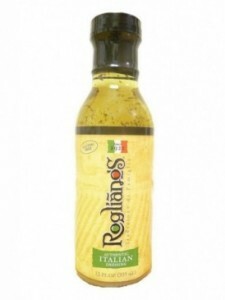 Buy this delicious dressing online at Rogliano’s Authentic Dressing … buy five or more bottles and the shipping is free! They’re protein bars with no refined sugars or preservatives and they actually taste really good! They’re called Good 2 Go Bars and the company is based in Orem. The bars are sweetened with honey, coconut crystals, and brown rice syrup. They’re also flavored with cinnamon and vanilla and loaded with protein … the company was founded by an amateur athlete who could never find a protein bar that tasted good, so he researched how to make a better tasting bar and then founded the company! Flavors include Almond Butter Chocolate Chip, Almond Butter Fruit Nut, Peanut Butter Chocolate Chip, and Peanut Butter Fruit Nut. Since Apple Beer is non alcoholic, you can order it via the internet at AppleBeer.com, where you can also order glassware and their lower calorie variety called “Apple 5”. The product is typically only available on the shelves in Utah, California, and some surrounding areas … so if you’re unable to locate it in your area, grab some online! 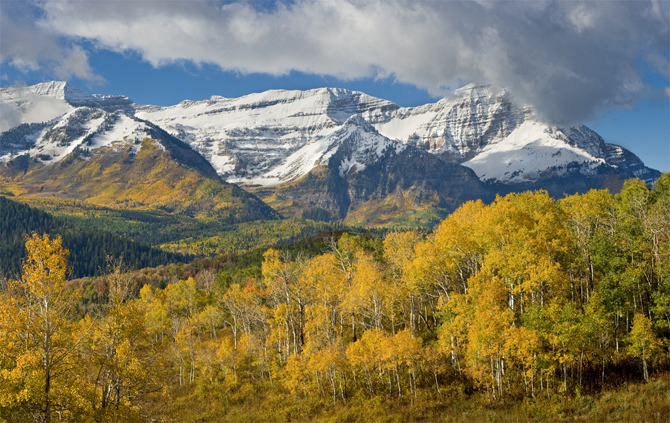 A great gift for someone who loves Utah’s natural beauty! Sweet’s Candy Company: Sweet’s Candy Company of Salt Lake City has been a Beehive State tradition since 1892. 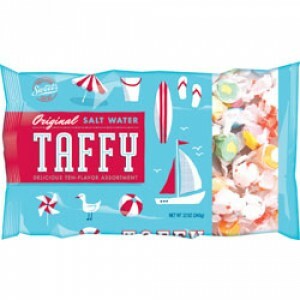 Sweet’s makes a lot of different candy, but they’re most famous, and beloved, for their salt water taffy, which by the way has nothing to do with the Great Salt Lake! 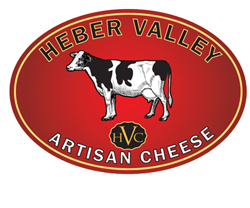 Beehive Cheese Company: The Beehive Cheese Company of Uintah, UT is owned by brother-in-laws Pat Ford and Tim Welsh. Their small creamery near the Weber Canyon produces artisan cheese in small quantities. Shown is the Beehive Party Box, which contains enough goodies to host your own cheese tasting party! It includes five six ounce cuts of cheese, along with three more local Utah products … salami, jalapeno jelly, and crackers. Ideal as a corporate or thank you gift from Utah! 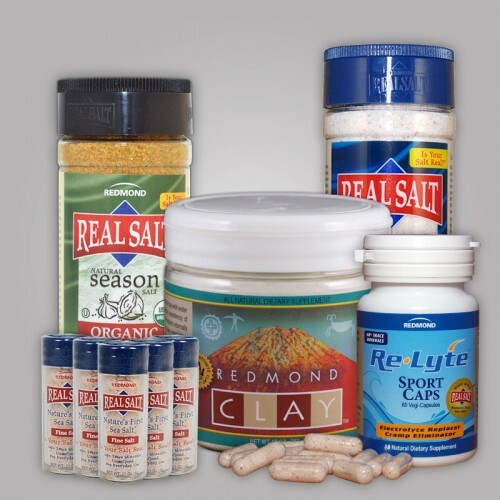 They make Redmond Clay, which is a spreadable antiseptic product used for burns and small abrasions. Clay has historically been used as a natural healing agent. They also make Earthpaste, an alternative to toothpaste in flavors like lemon twist, cinnamon, and spearmint. 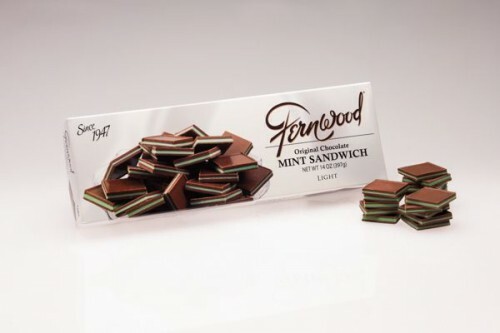 These mint chocolate sandwiches (pictured) are a sandwich of of two milk chocolates with a green mint filling in between. You can buy these as part of a gift basket, as Fernwood has several available for just about any occasion, or you can create your own basket of favorites! They ship all over the United States … a wonderful Utah holiday treat! Lehi Roller Mills: A Utah tradition for well over 100 years, Lehi Roller Mills makes gourmet bread and other food product mixes in their facility north of Provo … they are also a flour supplier for many U.S. food companies. Among their most popular products are muffin mixes, pancake mixes, and mixes for cookies with an emphasis on heart healthy baked goods. 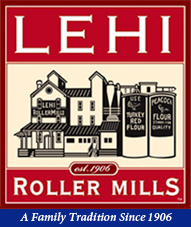 You can also purchase specialty flour from the Lehi Roller Mills online store …. Don’t forget to look at their hot cereal mixes too! Miller Honey: With a state slogan like “The Beehive State”, you’d imagine there are a few companies specializing in honey in Utah, right? You bet! One such company is Miller Honey of Salt Lake City. The company has been family owned since 1894, and started when founder Nephi Miller traded five bags of oats for seven colonies of bees. The family has been producing honey ever since! Miller Honey is a commercial producer, but they also sell a great deal online to individuals, so go to their site and check out the variety of honey, either individually or as part of a gift basket. Be sure to try Miller’s Creamy Honey, a spreadable variety just perfect for muffins, toast, or bagels in the morning!